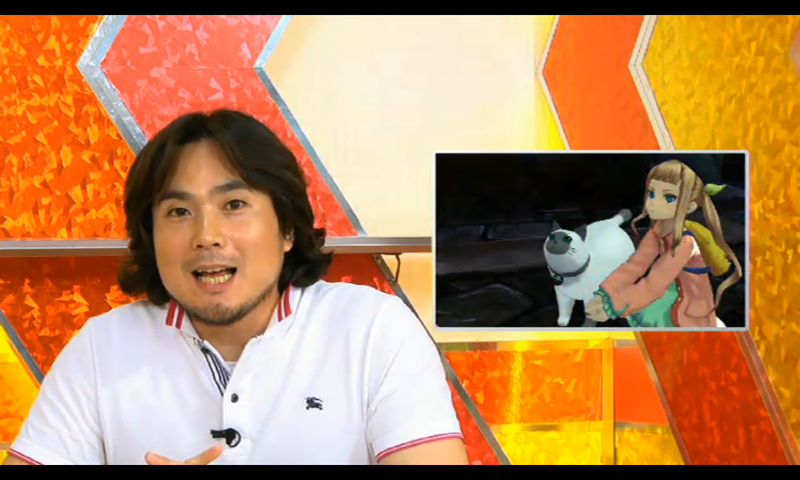 We already found out about Tales of Xillia 2's release date from the Weekly Jump leak a few hours ago, but Bandai Namco Live TV's Game Wednesday program still had a few new tidbits about the game for us. 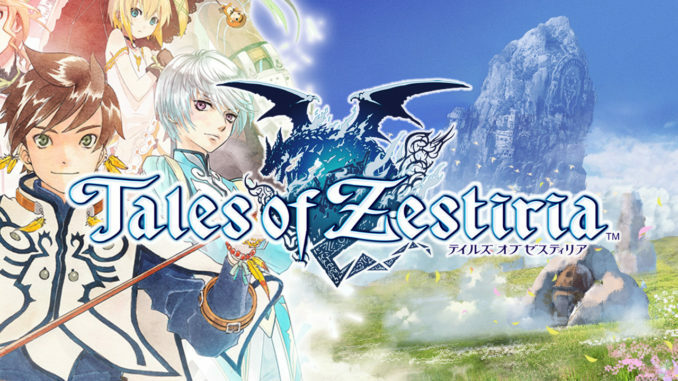 They started off the program with Tales Producer Hideo Baba talking a bit about the game's world of Elenpios, about how it's a highly technological world where humans live in prosperity, the game's main story and a bit about Ludger, Elle and Lulu that we already knew. This was followed by showing the three new event scenes that posted here. That's when all the new info started flowing out. 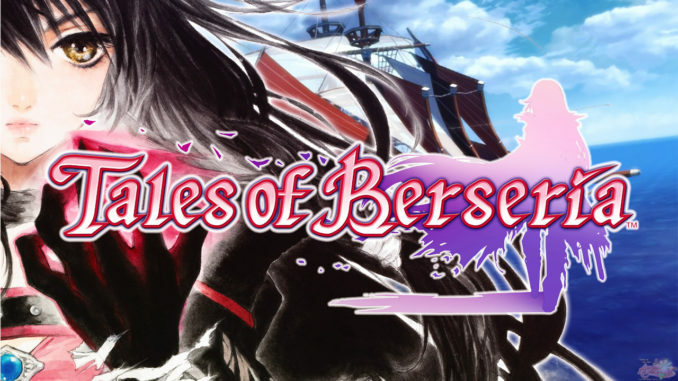 As for the new info, Baba-san brought out samples of the game's main pre-order bonus: a mini novel which covers what happened between the time of Xillia 1 and Xillia 2. 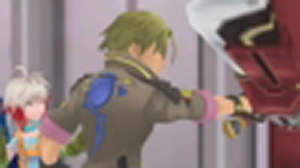 In addition, Ludger will be getting an Emil Castagnier costume (Tales of Symphonia: Dawn of the New World) as a bonus. There will also be two more costumes for him, but this will be revealed some other time. Some PS3 custom themes will also be part of the pre-order bonus. 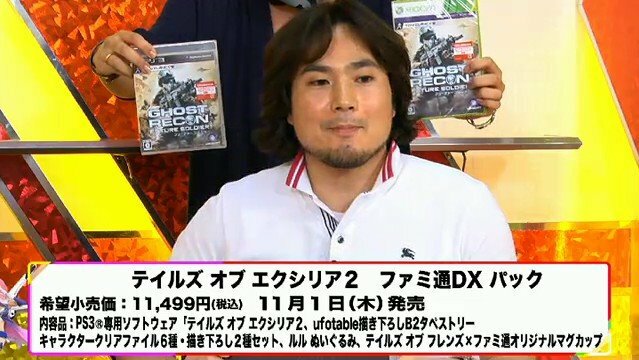 As announced before, the game release is November 1, 2012. The normal version will be for a price of 8,380 Yen. Pre-orders officially start tomorrow, June 28. 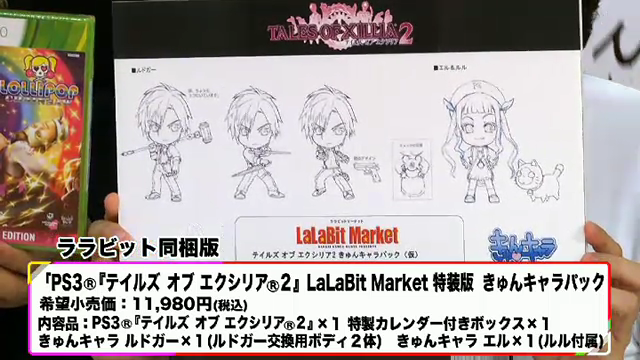 The Tales of Xillia 2 Kyun Chara Pack from Lalabit Market will be for sale at 11,980 Yen and will come with Ludger and Elle Kyun Chara figures. 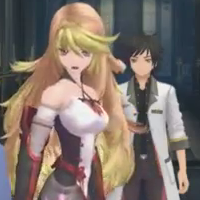 Ludger's will have three bodies, one for each of his Weapon Shifts, while Elle's comes with a mini-Lulu. 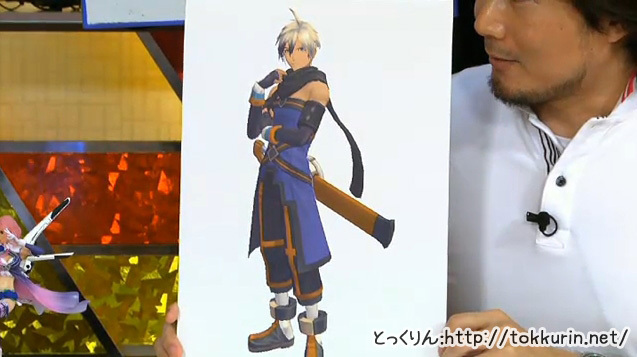 It'll come in a similar calendar box that Xillia 1's Kyun Chara Pack had, only darker in color. The Tales of Xillia 2 Famitsu DX Pack will be for 11,499 Yen and will come with a Lulu plushie, a B2 size tapestry with illustrations by ufotable, six character clear files (which may indicate 6 characters all in all), two special drawings exclusive to this bundle and a Tales of Friends x Famitsu original mug. 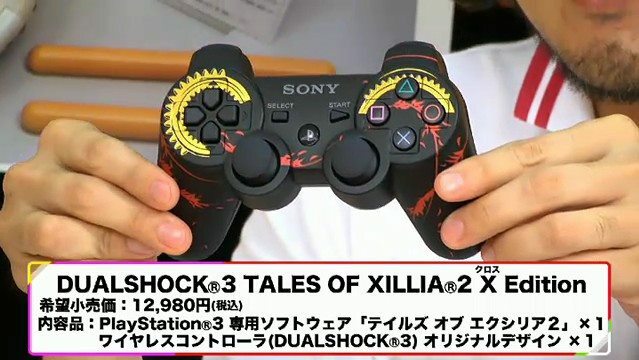 The Tales of Xillia 2 X Edition, which will come with the PS3 controller meant to complement Xillia 1's X Edition PS3 console, will be for 12,980 Yen. There will be a new commercial for the game on July 7 at 7-9pm Japan time. 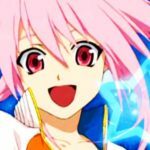 Tales Channel + members will be able to view the commercial a day early, on July 6. The next issues of Weekly Jump (July 3) and Famitsu Magazine (July 7, I think?) will be revealing new info about the game, particularly new characters. There will be a Tales of Xillia 2 Event Stage at Kotobukiya Base Akiba on 8/18, 1pm onwards. 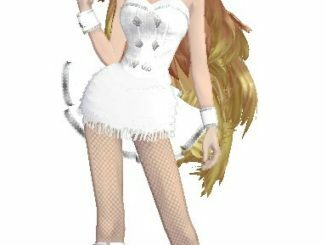 Actually, there are going to be a number of events for the game, it seems. There's also various other collaborations, like Xillia 2 inspired clothes from Putumayo. 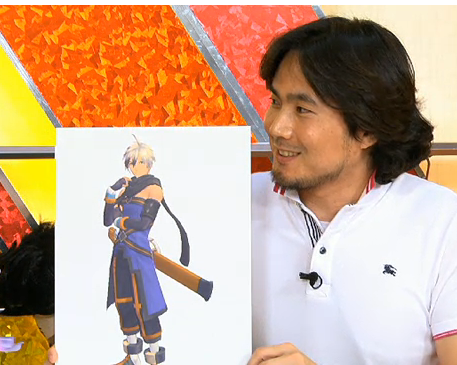 Hideo Baba completely dodges the question about why Ludger's last name is Kresnik, as related to the Kresnik spear from Xillia 1.